Enter to Win the Pretzel Crisps Tailgating Package! Wow! Wouldn’t this be an awesome win?! Enter for a chance to win the ultimate Pretzel Crisps tailgating package! Good luck! https://savvywifehappylife.com/wp-content/uploads/2016/09/SavvyWifeHappyLife-logo-2.png 0 0 Brandi https://savvywifehappylife.com/wp-content/uploads/2016/09/SavvyWifeHappyLife-logo-2.png Brandi2013-11-30 10:25:182013-11-30 10:25:18Enter to Win the Pretzel Crisps Tailgating Package! Take the Savvy Shopper’s Survey for a Chance to Win $100! Womensforum is looking for 1,000+ Moms to complete a quick survey about their shopping and couponing behavior. What’s in it for you? A chance to win a $100 Amazon.com Gift Card. Good luck! https://savvywifehappylife.com/wp-content/uploads/2016/09/SavvyWifeHappyLife-logo-2.png 0 0 Brandi https://savvywifehappylife.com/wp-content/uploads/2016/09/SavvyWifeHappyLife-logo-2.png Brandi2013-11-29 23:38:462013-11-29 23:41:35Take the Savvy Shopper's Survey for a Chance to Win $100! Here’s an easy giveaway! Good luck 🙂 Like the WholeMom page and enter to win a $150 in cash for your Thanksgiving feast! Learnvest – Don’t Get Spooked Sweepstakes (Enter to Win $500)! I love Learnvest and I also love contests! I hope one of you win some free money! Sign up for the Don’t Get Spooked Sweepstakes and be entered to win $500. Good luck! https://savvywifehappylife.com/wp-content/uploads/2016/09/SavvyWifeHappyLife-logo-2.png 0 0 Brandi https://savvywifehappylife.com/wp-content/uploads/2016/09/SavvyWifeHappyLife-logo-2.png Brandi2013-10-12 21:18:202013-10-12 21:18:20Learnvest - Don't Get Spooked Sweepstakes (Enter to Win $500)! Here’s a new contest brought to us from Coupons.com! Print your coupons and enter to win $500. Good luck! One winner per day for 10 days! You may enter each day! Enter to Win $500 from Coupons.com’s Giveaway! https://savvywifehappylife.com/wp-content/uploads/2016/09/SavvyWifeHappyLife-logo-2.png 0 0 Brandi https://savvywifehappylife.com/wp-content/uploads/2016/09/SavvyWifeHappyLife-logo-2.png Brandi2013-09-07 14:38:382013-09-07 14:38:38Enter to Win $500 from Coupons.com's Giveaway! Enter to Win an iPad Mini and Case! Good luck! “Like” Women’s Freebies on Facebook and enter for a chance to win an iPad mini and a Marc Jacobs case! https://savvywifehappylife.com/wp-content/uploads/2016/09/SavvyWifeHappyLife-logo-2.png 0 0 Brandi https://savvywifehappylife.com/wp-content/uploads/2016/09/SavvyWifeHappyLife-logo-2.png Brandi2013-08-19 10:43:482013-08-19 10:43:48Enter to Win an iPad Mini and Case! Have your own funny feeding story? Share it for a chance to win $20,000 towards your child’s education. Enter the Resolve Stain Remover Sweepstakes for Great Prizes! Use the banner above to enter to win – good luck! Click “Share A Stain Tip” and login with your Facebook account for a chance to win a weekly prize from Resolve. Good luck! https://savvywifehappylife.com/wp-content/uploads/2016/09/SavvyWifeHappyLife-logo-2.png 0 0 Brandi https://savvywifehappylife.com/wp-content/uploads/2016/09/SavvyWifeHappyLife-logo-2.png Brandi2013-08-05 22:54:112013-08-05 22:54:11Enter the Resolve Stain Remover Sweepstakes for Great Prizes! 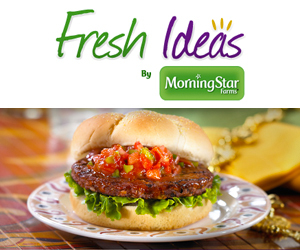 Join the Fresh Ideas Panel to Share Ideas and Win Prizes! They are accepting applications for females! Your ideas are important and Fresh Ideas want you to share them! Join Fresh Ideas, an exciting new panel designed to collect your thoughts and feedback regarding food and what you are looking for in the foods you choose for yourself and for others, such as your family and friends. You’ll be rewarded for your feedback! For each survey that you complete, you will be entered into a sweepstakes where you can win exciting gifts like a $200 gift certificate! https://i2.wp.com/savvywifehappylife.com/wp-content/uploads/2013/07/fresh-ideas.jpg?fit=300%2C250&ssl=1 250 300 Brandi https://savvywifehappylife.com/wp-content/uploads/2016/09/SavvyWifeHappyLife-logo-2.png Brandi2013-07-22 20:18:192013-07-22 20:18:19Join the Fresh Ideas Panel to Share Ideas and Win Prizes!